Beautiful, sturdy vintage silver bracelet from the 1950s-'60s. 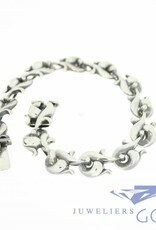 This solid silver retro bracelet is 19.5 cm long, 11.5mm wide and weighs 37.5 grams. 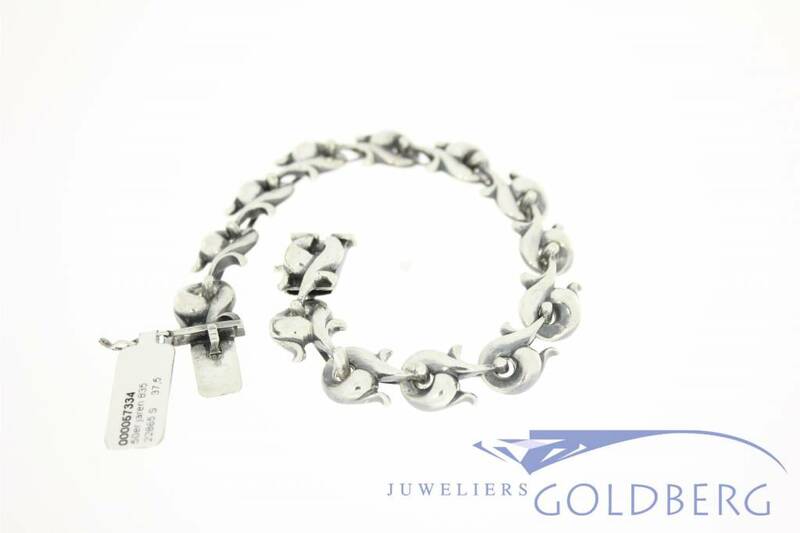 A stylish vintage bracelet to wear that also makes for a great collectible as silver jewelry from the 1950's and 60's have become increasingly rare, especially in good condition. We also have the matching necklace.